Imagine two beaches in one, part white and part black. 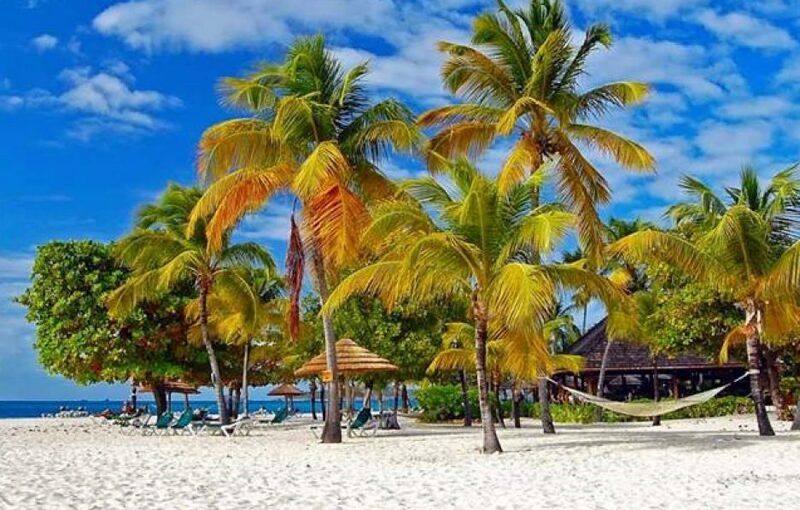 Located on the western side of St. Vincent is a black and white beach which has become a favourite for both locals and visitors from all over the world. Buccament Bay beach gives the best of both worlds. It not only combines the natural volcanic blacksand with coral white sand, it also combines the natural with the artificial in a way where both enhance each other. The beach was always black but the construction of the Buccament Bay resort around 2006, saw tonnes of white sand being imported to turn the part of the beach directly in front of the resort, white. This left the other half of the beach in its original colour, black. Both parts are seperated by the buccament river and the separation is symbolic as the white part is used as a picnic and tourist hotspot, while the black half is used for facilitating the landing of local small fishing boats used by persons in the Buccament Bay community. The river is used by locals for catching West Indian whitebait, commonly called “Tri Tri”. With the closure of the resort, however, the white part of the beach is regaining its original colour, as it is now somewhere between black sand and white sand. This, however, might change as the resort is set to be reopened under new management, later in 2018 and they might just decide to bring in more white sand to replenish what was there before. Irrespective of what happens, Buccament Bay beach, in its current state, remains one of the most beautiful beaches on St. Vincent and is a favourite for bathing and picnics.